Reykjavik is famous for its stunning landscape and awe-inspiring natural attractions. Be sure to take a dip in one of the many natural thermal pools and spas and enjoy the sights and sounds of Reykjavík Old Harbour. It's filled with top museums, trendy cafés and bars, excellent restaurants and natural wonders, Iceland's capital city has plenty to offer visitors. The National Gallery of Iceland with its collection of striking works, mainly from the 19th and 20th centuries, is a must-see for art lovers. 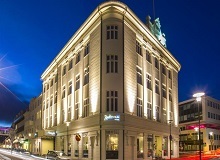 The Radisson Blu 1919 Hotel, Reykjavik welcomes guests to Iceland. Stay in the heart of the city next to the North Atlantic, and easily reach both the attractions within the city and the country's outstanding natural highlights. The city of Reykjavik is resplendent with cultural and natural attractions and is sufficiently equipped with a variety of transport options. 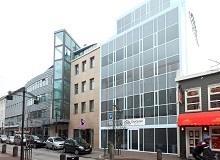 City Center Hotel is located in the heart of Reykjavik, capital of Iceland. Standing six floors on Austurstraeti, one of the oldest streets in Reykjavik, City Center Hotel is a 3 star high quality accommodation with an outstanding location situated close to many restaurants and clubs. They thrive on being by far the best 3 star hotel in Reykjavik and offer their customers exceptional service, quality and value.